Symphony Fintech is NSE empanelled technology vendor providing a managed NSE collocation services to small and mid-size NSE trading members at unmatched price. In today's highly competitive world, it is essential for high frequency traders to host their key trading technology in close proximity to exchange platforms to remain competitive. 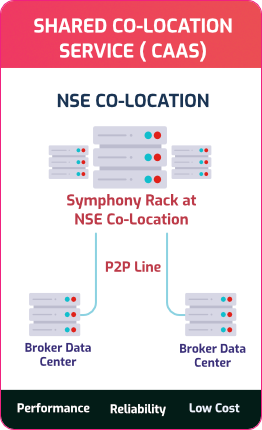 Symphony Fintech provide access of NSE Colocation facilities to small and mid size NSE trading members under NSE CAAS model. With NSE CAAS model NSE trading members essentially optimize market access and trading speed to get their trading infrastructure as close as possible to the NSE matching engine. As a part of CAAS model, NSE trading members have access to ultra low latency exchange infrastructure with rack space, trading equipment, complete infrastructure management, TBT Feed handler and key trading technologies to remain competitive. 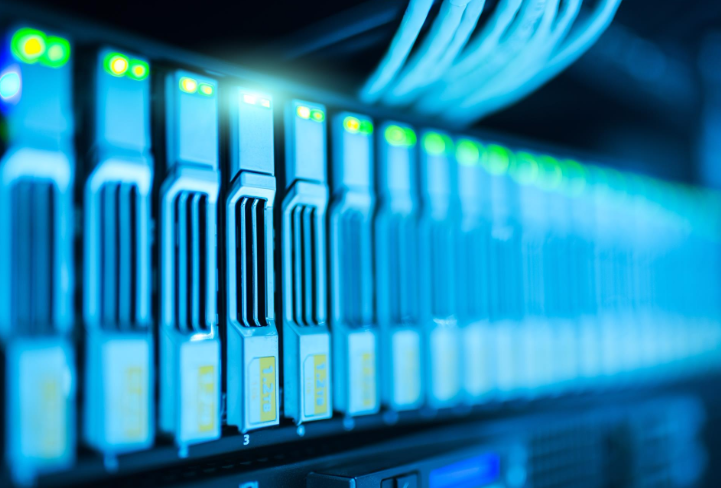 With NSE CAAS, the subscriber is with the shortest physical distance with NSE matching engine and with reliable connectivity can significant reduce the time to obtain the data feed and submit orders to market. NSE CAAS service is the fastest connection to NSE exchange. For high-frequency trading a few microsecond can make a significant difference. We offers NSE co-location services for those traders who are seeking the fastest, most redundant access to a NSE exchange matching engine. Co-location can greatly benefit traders who are running automated trading systems, from greybox to blackbox. Taking advantage of server co-location brings traders strategy as close to the exchange matching engine as possible, significantly reducing execution times, as well as the risks of multiple points of failure.